Endless.com is having their Friends & Family Sale until November 3, 2011. 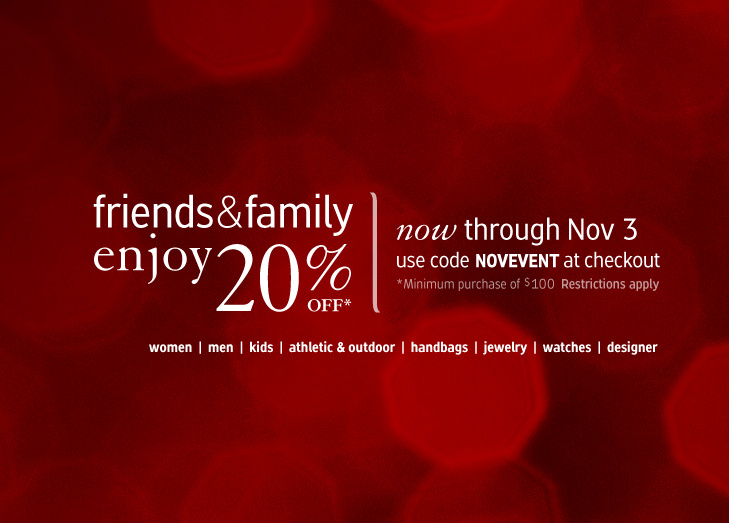 Use code NOVEVENT at checkout. The cool thing about Endless.com is hassle free returns and FREE 2 DAY SHIPPING. Get your purchases super fast with Endless.com. I was very surprised about this sale. I was just on Endless.com searching for a pair of Strappy Wedge Sandals. I have 2 in my cart right now so I’m excited to see an even BETTER deal out there. I am also using my Discover Card for 5% cashback. On top of that BizReveal.com has a 13.5% cashback for Endless.com.